"You''ll never know what I really think!" One of the most extraordinary and challenging weeks in Sir Alex Ferguson's managerial career has ended with him winning again! United get to defend the balance sheet value of Wayne Rooney in the only way they can in these days of the Bosman and Webster rulings: by committing their star asset to a long-term contract. 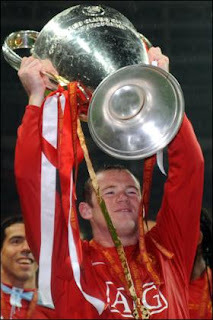 It was a crazy few days where Rooney asked to leave Manchester United - and ended with him penning a new five-year deal. Now United have about three more years to sell him at optimum value, without Bosman diminishing it. Hours before, Paddy Power and William Hill both closed their books on Rooney staying. Hills did so after a spate of large bets were placed on Rooney staying. These were all placed at shops in Liverpool. An interesting theory doing the rounds was that the whole fiasco occurred because Rooney blamed "colleagues" for introducing him to his dubious lady friends and generally leading him astray. Colleen's condition for staying with him was that he distance himself from such "friends", meaning he had to leave United. This is a female take on this and it's plausible, if only because "blaming the lads" is a very blokeish tendency. Macheda was right about him! "United lack ambition" doesn't really stand up to scrutiny as a reason to leave either. Only Manchester City are net spenders in the transfer market - and wages are hardly the issue. Rooney could presumably ask for a clause in his contract guaranteeing he'd be the highest-paid player. United gave this to Roy Keane, I'd be surprised if they didn't give it to Rooney. 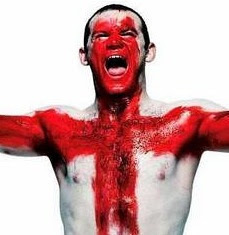 But moving forward, the only currency that really matters is a dramatic upturn in his form: "How will Rooney respond?". He needs to buckle down and get to work. He's apologised to Fergie - now get on with it! Fergie will expect nothing less after enduring one of the most difficult weeks in his near quarter century tenure as United boss. So we've now heard from both protagonists in this extraordinary story. Wayne Rooney confirms he wants to leave Manchester United; and Sir Alex Ferguson is left baffled, bemused - and helpless. But the 24-year-old striker, on £90,000 a week, well short of the riches of his Chelsea peers, Lampard and Terry (both on £150,000), claims it's nothing to do with money. Players are just pieces of meat - and I'm hungry. Rooney just doesn't believe United can compete for the best players anymore. He's witnessed Carlito and CR07 leave for United's biggest rivals - and as the club buckles under the weight of a reputed £750m debt, Wazza's transfer request is a stunning vote of "no confidence" in United's future. Sir Alex, the one-man winning machine doesn't view it like that. He sees the culmination of his life's work in the majesty of a 75,000 all seater stadium, palatial training facilities and a conveyor belt of trophies. But Rooney's view is shorter term: having won three of Fergie's dozen titles plus the Champions League, he can't see victory being sustained at the same level. "Shoulda nicked it, I'll never see it again!" This is a massive blow to morale at Old Trafford - because it's partly true. The club is profitable - but the debt noose round its neck is tightening - just as Manchester City come to the fore with their lavish spending. And despite new economic realities, Real's spending power remains unreal. 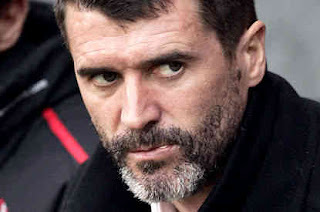 Former United skipper Roy Keane described players this week as "pieces of meat, nothing more - and when your time's up, it's up", hinting that Rooney had every right to look around for the best deal he could. Fergie's already planning for the future without him - his programme notes for the Champions League game talked of Chicharito's finishing power and the quality of Berbatov. Not a word about Rooney. But he's genuinely rattled by this, and even at 68 with all his experience in management, this is the first time he's not in control of a sit-ye-ashun. What on earth is Rooney doing? Wayne Rooney's declared a unilateral breakdown of his relationship with Sir Alex Ferguson, to the point that he's prepared to leave Old Trafford in January. Rooney, who more than anyone else has been Fergie's chief talisman since the departure of Roy Keane, will seek new employers and refuse to sign an extension to his existing contract. It all started a few days ago when Wazza announced he'd been fully fit all along - despite Sir Alex claiming injury was the reason for his non selection recently. Hence, he exposed his manager as a liar. You only have to ask Keane, David Beckham and Jaap Stam about crossing Fergie. You do so at the expense of your United career. That's what. Sir Alex knows full well the maxim that every streetwise boss lives by - players lose managers their jobs. Turns out Fergie was punishing his wayward star for his night with a prostitute while his wife Coleen was pregnant. Fergie likes settled, married men. He believes they give their best to Manchester United. Only at the end of last season, he'd proudly announced that Rooney was his "main man" - even when Cristiano Ronaldo was outperforming him during the Portugeezer's heady days at Old Trafford. And in his most unusual Champions League conference ever, Sir Alex was clearly dumbfounded, nay nonplussed by his star striker's determination to get away. There's no one better at managing young men, dealing with egos, engendering loyalty - and ultimately getting them to play at their optimum potential than the United boss. So I'm amazed at the 24-year-old's thickheadedness. I knew his greatest asset was football; his talents limited in pretty much every other sphere. But I didn't realise he could put his foot through everything of value in his life in such a short span of time. It's unclear what the status of his marriage is after that prostitute story. And it's the other key relationship in his life that appears to have been ruined as well. If the rumours about his spat become a split with Fergie, then he really is a dumb footballer of the first water. Wazza's doing a Gazza. He's about to press the self-destruct button. If Rooney has any sense at all, he'll walk into the manager's office and apologise (and Fergie's said he'll have him back), then get on with restoring form to his lacklustre game. If United are forced to sell him in the January window, then they should get as much money as they can for a player with twenty months left on his current deal. And in the shifting sands of the current marketplace: moving powerbases and changing regulations, Rooney could be set for a huge fall from grace. The biggest loser of all. Step back from the brink, you idiot. Apologise to Fergie and repay the only debt you owe the footballing public: a return to your best form for United and England. Come on ref, that's a clear handball! ﻿Soccermongery's most unamused with extra officials overseeing our Beautiful Game. Now "linesman" are "assistant referees". More are placed around the pitch and it's only going to end up with one thing - more penalties given. I thought the whole idea of extra officials was to arrive at better decisions, quicker. After all, the referee and two linesmen just can't have clear perspective on every incident. But it won't map out like that, will it? Not only do these new assistant referees have to justify themselves by making decisions, they're physically nearer penalty areas where questionable events will happen. There'll be under the full glare of attention to raise their flag! Take the penalty given against the unfortunate Twente Enschede defender at Spurs last midweek. Even the most diehard Tottenham fan would admit it was a case of "ball to hand", rather than the other way around. I've got a bet on three-nil. But to the new official behind the goal, it was a clear application of the rules - a penalty. The resultant spot kick broke the visiting team and Spurs went onto win confortably. I know this problem is being whispered among top refs, and I'm sure it's annoying that the man-in-the-middle needs eyes in the back of his head for players, as well as spatial vision to check all the different flags his colleagues will put up! Just more decisions from now on, some kneejerk - but equally controversial, if not moreso. Just because there'll be more referees on duty. Despite all his experience, the senior referee won't be allowed any discretion at all. One of FIFA's great ideals is that football should be played in the same way at every level. Two teams, shinpads, 90 minutes and three officials. This changes it all. And not for the better.